Below is new video of Cathy Kelley revealing the brackets for the upcoming WWE UK Title tournament in London. Cathy also reveals that there will be a Bracketology Special airing on the WWE Network at 8pm EST on Thursday, June 8th. The first round matches will begin at the UK Download Festival in Derby, England on June 8th, June 9th and June 10th. The Drew Gulak vs. Jack Gallagher match is set to air on an upcoming WWE NXT episode. The rest of the tournament will then take place at Royal Albert Hall in London on Monday, June 18th. 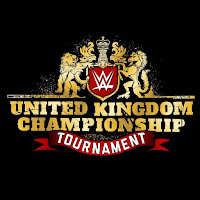 The winner of the tournament will face WWE UK Champion Pete Dunne with the title on the line the next night, June 19th.